Heritage® Cordyceps Sinensis is one of the most sought-after medicinal fungi in Traditional Chinese Medicine. It is highly prized for its time-proven and superior tonifying properties. It promotes recovery and restores energy after illness. Taken regularly, it relieves fatigue and enhances general well-being. 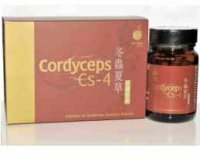 CS-4 is a proprietary strain developed by China's Health Ministry after intensive Research & Development and is deemed to have bioactive components that most closely resemble the wild Tibetan Cordyceps Sinensis. - Enhances vitality and boosts stamina. - Resolves chronic cough and supports the respiratory system. 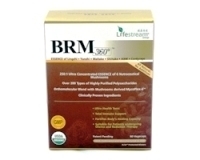 - Regulates kidney function and supplements the vital essence. - Aids convalescence and restores energy after illness. - Relieves fatigue and promotes general well-being and overall health. Each 500mg vegicap contains 100% extract equivalent to 2000mg of Cordyceps Sinensis CS-4 mycelia. Adults: Take 1 or 2 capsules 2 times a day before meals or on an empty stomach. Children: Take 1/2 adult dosage. Consult a doctor or pharmacist before use of cordyceps if pregnant or breast-feeding.